The ukrainian capital decided to get rid of the press for Euro 2012 in a mass dismantle of the places for sale of newspapers and magazines. The Kyiv city state administration has already removed “Press” 14 kiosks from the streets. 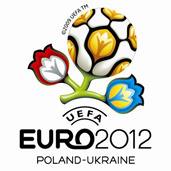 The corresponding order was prepared in connection with preparation for Euro 2012. This was reported in The Association of Ukrainian Press. Illegally installed kiosks must be demolished. This refers to kiosks placed recently in the 1.5 km zone of the football championship, as well as near the Metro and monuments. The association argued that the kiosks with newspapers are not illegal, however, the Kyiv City State Administration has made a priority list for their removal.